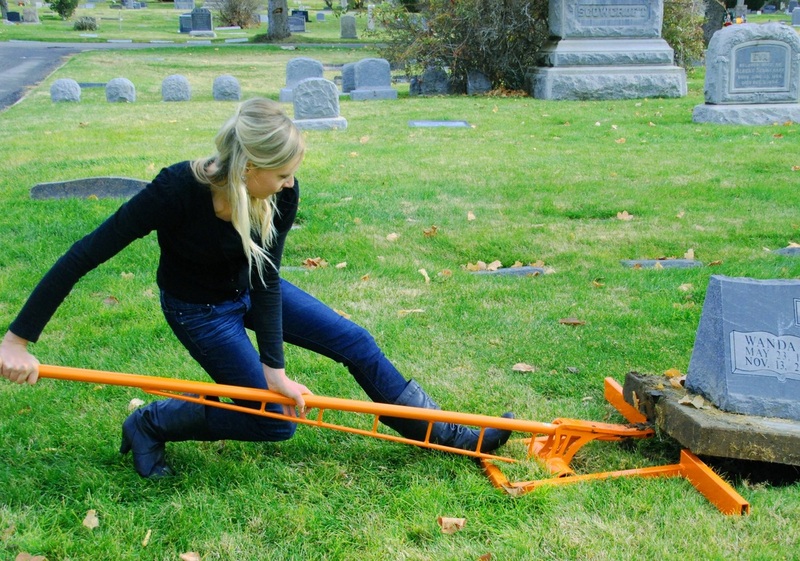 This is the safe way to level Headstones. 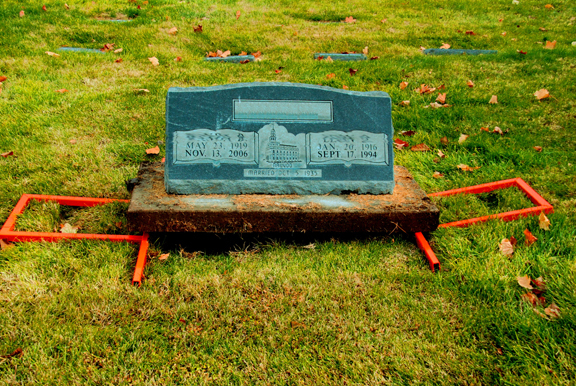 Jack the headstone up, slide the blocks under the stone. Put dirt or gravel underneath, level it with your hands or tools. When you are finished, jack up the stone and remove the blocks. 349.00 for a set of two plus shipping and handling. 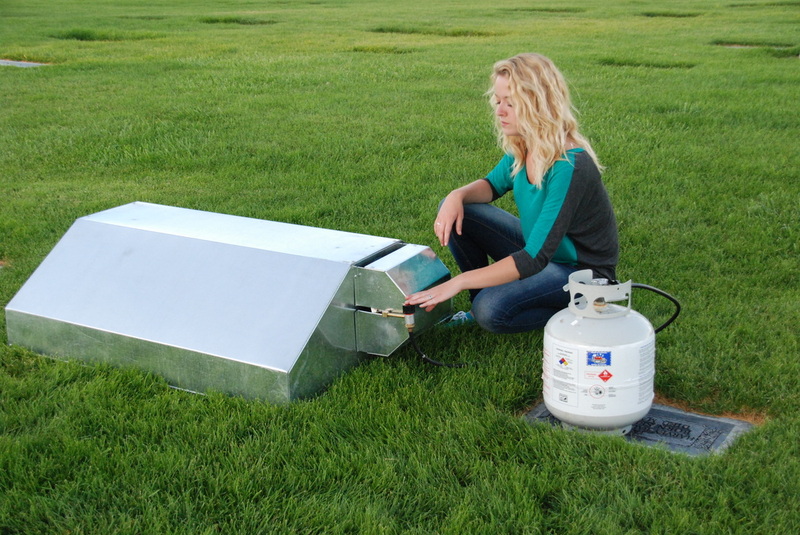 This ground warmer is for the winter, when the ground is frozen solid. 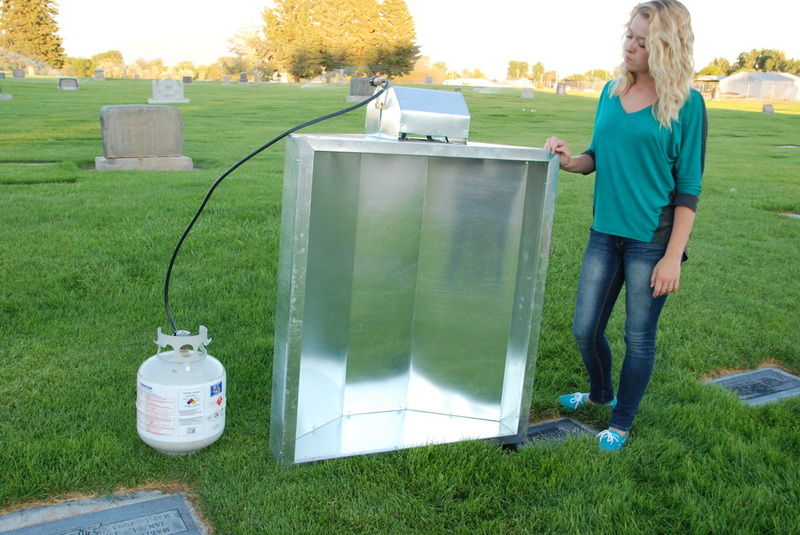 The infrared heater, designed specifically for the cemetery industry, runs on propane and thaws at a rate of about one inch per hour. We build these right here in Utah. It can also be used to warm up a headstone so you don't have all the mud and ice stuck to the bottom of the marker when you move it. Cost is 2500.00 per unit. Two will thaw an entire grave site. Call for shipping or other questions. This item is not available for online ordering. ﻿For more i﻿nformation, please contact us at 801-589-1162, or email: artistwelder@hotmail.com. Woman uses easy flower pot cleaner.